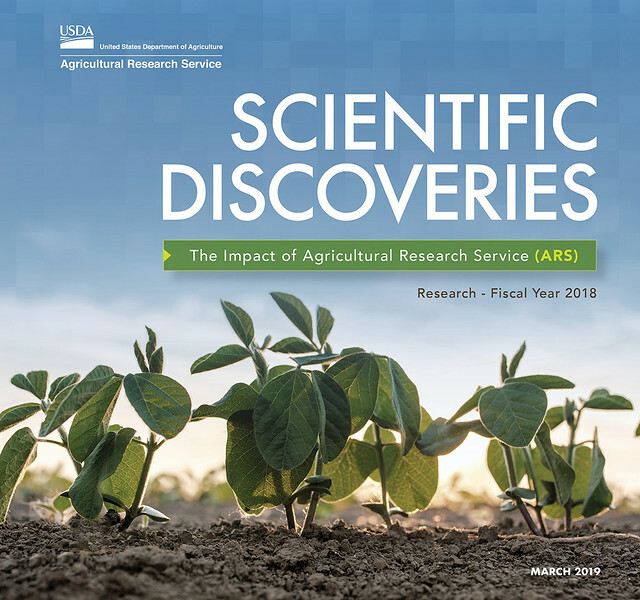 Each year, ARS laboratories release new discoveries, inventions and technological breakthroughs that play a vital role improving agricultural food production. Each year, ARS laboratories release new discoveries, inventions and technological breakthroughs. Their research focuses on human nutrition, natural resources, crop and animal production, food safety, and even bioenergy. This research plays a vital role in developing scientific information and technologies to improve agricultural food production. In the newly released 2019 edition of ARS Scientific Discoveries, you can read about examples of scientific endeavors that have the potential to enhance, and possibly even change, our lives. A natural supplement, L-glutamine, as a possible alternative to antibiotics for promoting pig health and growth. Flour made from grape seeds, which contain many healthful compounds, including protein, lipids, carbohydrates and antioxidants. New hop and barley varieties that are critical to helping the brewing industry keep pace with increasing consumer demand for new brands offering diverse flavors and aromas. New clues as to how the bacterium associated with citrus greening disease infects the insect that carries it. These latest achievements are just a few of the many ways ARS scientists’ creative problem-solving and innovative approaches impact Americans—from farmers to processors to consumers.